I am writing this editorial on the final day of the year—always a good day for reflection and attention to the nuances that emerge at the intersection of time and meaning. This is a day when we often ask ourselves we we “accomplished” in the past year and take measure of how we have succeeded or failed, as culture demands. It is a day when I often take stock of “what I have done with depth psychology” after having spent a small fortune pursuing higher education in the field. It is also a time of death and rebirth; a surrendering to the reality of “what is”—even if our precious egos are discontent with what we initially see. We are each exactly where we need to be, it’s often said. Embracing where we are is part of the process of allowing change to take place. 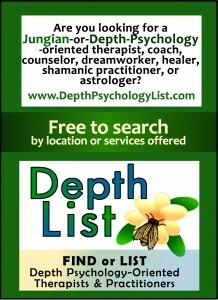 I consider each issue of Depth Insights™ a meaningful “accomplishment”—in the language of the modern world. Over the years, we have done our best to publish high quality essays, art, and poetry that embody the best offerings depth psychology has to offer. And, we have adhered to a strong desire to make it accessible to everyone by keeping it free in the hopes that someone, somewhere, will read an article, a paragraph—a phrase even—or take in a poem, or regard a stunning image and find themselves touched, informed, or transformed. Words and images are indeed alchemical agents that can inspire us shake us up, wash over us, or gently saturate the psyche, creating change. 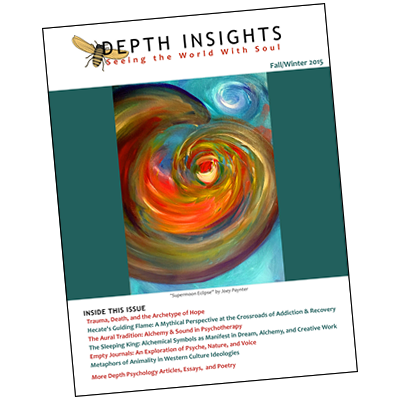 The selection process for Depth Insights is always difficult, but this issue was particularly challenging as we had the highest number of submissions in our four-year history. Having worked our process, I was gratified to notice that many of the excellent essays in our final lineup feature common threads of alchemy, transformation, recovery, and renewal. Articles such as Paul DeBlassie’s “Trauma, Death, and Hope” and Tricia Durni’s work using myth as a lens to explore addiction and recovery are complimented by three essays from Joel Bell, Gary Bartlett, and Clara Lindstrom that invoke the topic of alchemy—itself an image of the Jung’s individual process—directly. Mythology as an agent of change is invoked by Deborah Salomon’s “The New Myth,” by Tina Azaria’s interesting article on Trickster, and even by the book review by Dennis Slattery of Carol Pearson’s “Persephone Rising.” Essays on nature, the feminine, and animals from Adriana Attento and Effie Heotis round out this brilliant collection. As we each look forward to the year ahead, in the midst of the many disturbing cultural and planetary crises we all face in the modern world, I hope each reader might find something of value here that speaks to you—an image, a poem, a sentence or two—that provides a foundation you can cling to when things seem chaotic all around. Making the time to allow yourself to engage with these works and reflect is one of the greatest gifts you can give yourself to allow transformation to work on you, and allowing space and reflection is an “accomplishment” more aligned with a depth psychological intent than that of the fast-paced, goal-driven culture in which we live. In this way, perhaps the assessment of “what I have done with depth psychology” will be re-visioned as “what depth psychology has done with me” this year. A few short days after I”ˆwrote the editorial for this issue, a great light left our world in the beautiful being of Jesse Masterson, who passed away after a short battle with pancreatic cancer. Not only was Jesse my brilliant and dedicated co-editor for Depth Insights for the past couple of issues, at the time he was diagnosed with what he knew was to be his journey home, we had been spending several hours a week together on video calls as he poured his soul into his role as Board President of Depth Psychology Alliance. There is so much to be said for Jesse’s commitment to soul, his capacity to connect with spirit, and the grounded sense of love, joy, serenity, and strength he brought with him every time he showed up. And he did show up!—even offering to help work on this issue long after that fateful diagnosis. Jesse would have been the first, I”ˆthink, to acknowledge that we are each an integral part of that infinite cycle of life, transformation, death, and renewal, presided over by the great goddess, and participating in a universe of being that we can only begin to glimpse when we do show up and passionately be who we are in spite of all else. Jesse, my friend:”ˆYou are tremendously missed, but you still live on in the soul of the world that you loved so very much. Associate Editors: Tish Stoker Signet, Ph.D. and Warren W. Sibilla Jr., Ph.D. Depth Insights is published twice a year. 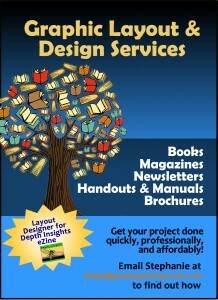 Copyright of the Depth Insights journal & design belongs to Depth Insights™. 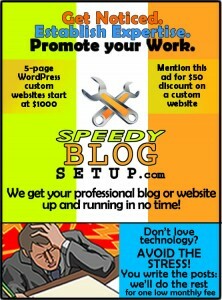 No part of this publication may be reproduced in any form or by any means without written permission from the publisher.